Since 2001 Delstar Energie is a trusted manufacturer of rotor poles, connection bars and other electrical components for the hydro, tidal and wind power generation industries. We also offer a complete set of refurbishment services for the same components. Our highly qualified team of engineers and technical experts combine experience, enthusiasm and technical know-how to deliver the best products and services on the market at a very competitive price. We are a first-class partner for OEM manufacturers and a valued subcontractor. We are proud to supply quality rotor poles to major turbine and high voltage electric motor manufacturers around the world. Our experts are dedicated to deliver high-quality products within the set delivery schedule using the most innovative technologies on the market. Delstar Energie is constantly investing in R&D to maintain its leadership position. This involvement benefits our client’s strategic partnerships. Delstar Energie has developed a unique, fast and safe insulation removal process that is compliant with the strictest health and environmental laws. Contrary to other methods currently used to remove asbestos insulation on rotor poles and coils, the chemical baths ensure that the copper properties before and after will be exactly the same in all aspects. Our teams have designed and developed several machines to enable us to achieve outstanding results on any job such as automated brazing machines and custom winding machines. When renovating an alternator group in a hydro power plant, challenges can pile up rather quickly. 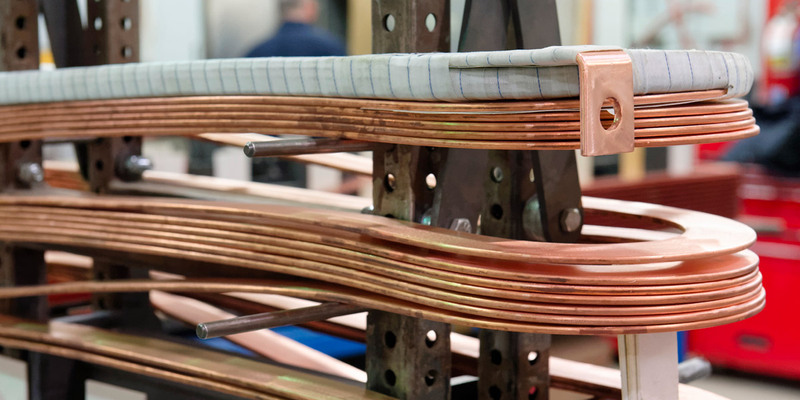 Even if works can seem simple compared to other electrical winding jobs, there are many machine-specific issues that require tailored solutions. Electric motors and generators are at the heart of the manufacturing industry. Combined they consume more than half the energy generated worldwide. 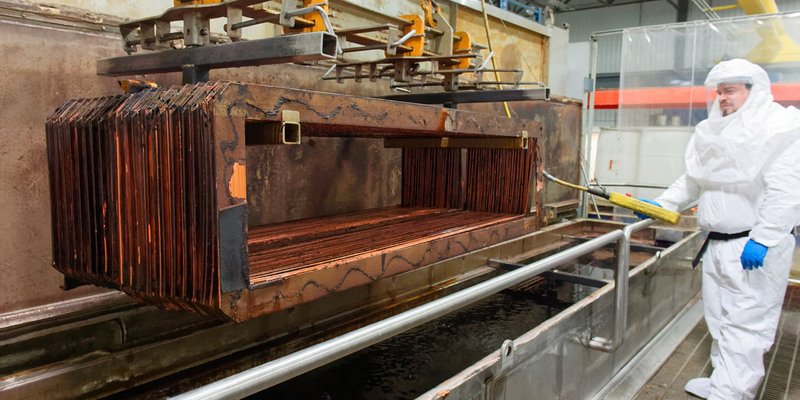 Delstar Energie’s asbestos abatement process dips coils in a chemical bath at temperatures that are under the standard unit’s operation temperatures. 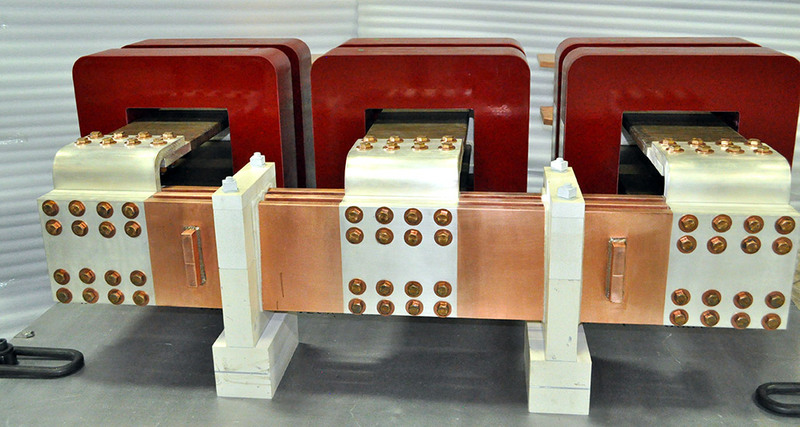 Manufacturing connection bars and other electrical components implies numerous challenges because it is often the final step of the manufacturing process. Connectors must be adapted to the remaining space in the machine as well as residual time of the project. Delstar Energie is a member of Groupe Delom, a group of companies dedicated to supplying, repairing and refurbishing electric motors and generators as well as other rotating equipment founded in 1963. Delstar Energie was created in 2001 and specializes in the refurbishment and manufacturing of rotor poles. The 5760 m2 (60,000 sq.ft) factory is located in Montreal, Quebec, Canada, and showcases cutting-edge technologies.